Established in 2002, Wine By Joe makes consistently delicious wine from Oregon’s most established vineyards and distinctive grapes. It’s been our mission to make really good, approachable wine at a really good, affordable price. 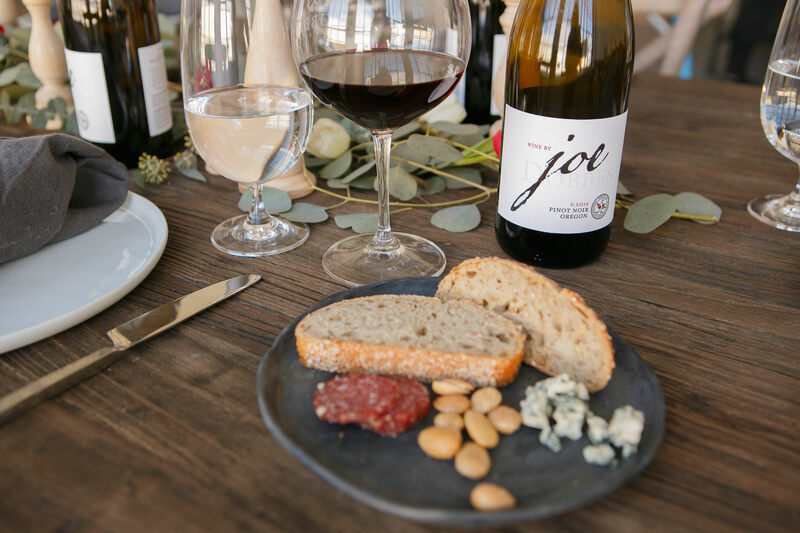 Wine By Joe takes the cake when it comes to crafting high quality wines for your everyday table. It’s in the notion of gathering with friends, family, and neighbors to enjoy a bottle, a meal and conversation that Wine By Joe finds its roots. By embracing the Oregon spirit in every bottle, Wine By Joe is crafted to be your go-to wine for any and all occasions. For us, making wine is our way of recognizing and sharing the Oregon spirit. It’s a bottle of wine wrapped up in who we are and how we take care of our people and our planet. Whether the grapes are from our 214-acre estate Sea Breeze Vineyard with its cool coastal influences or sourced from one of our distinctive Oregon vineyard partners, we believe that really good wine comes from really good fruit. With location, elevation and soil types playing such a large role when sourcing grapes, we focus on creating complexity through diversity by blending grapes from Willamette and Rogue Valley. Grapes have a story to tell; we just listen. Wine By Joe’s vineyard team focuses on sustainable farming practices and producing high-quality fruit. Each day we’re taking steps to evolve our practices at the winery and in the vineyard to produce a sustainable, greener future while crafting honest wines. We have a little something for everyone: Pinot Gris, Pinot Blanc, Chardonnay, Rosé of Pinot Noir, and Pinot Noir. It’s that perfect guest you can bring to any party that gets along with everyone — our wines pair best with backyard BBQ’s, live music, trailhead or park picnics, Netflix binges or #WineWednesday dinner parties. Listen to the fine and enticing “snap-crack” of the seal as you twist if off and find fresh wine with every pour. 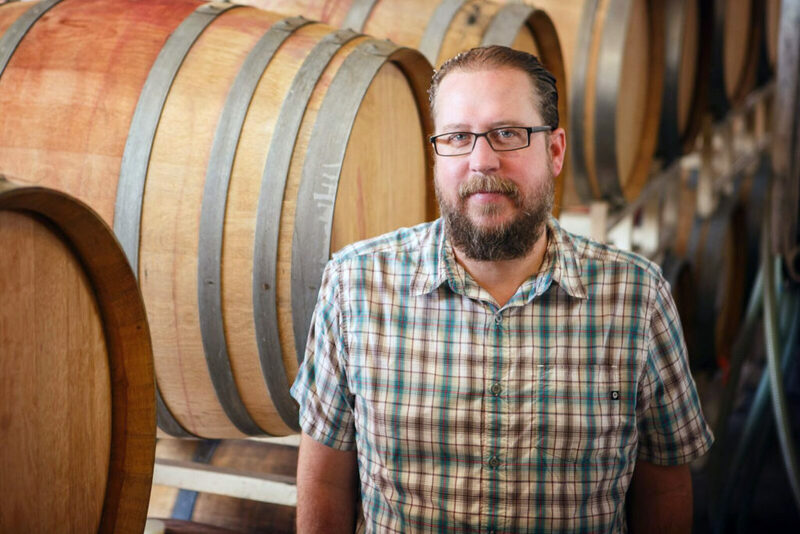 After working in the business for others internationally and in Oregon, I started Wine By Joe with a small amount of money in my back pocket, a lot of experience and passion, and a sufficient ignorance of what I was up against. 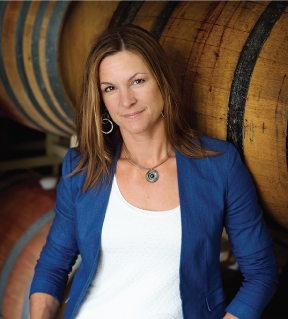 Today, our multi-faceted wine company is one of the largest in the state. We own 214 acres of vineyard and benefit from the work of more than 30 full-time, dedicated employees, as well as dozens of part-time and seasonal workers. As Joe’s very first employee, I’ve worn almost every hat in the winery. From cellar hand, to cellar master to CEO, I can proudly say that the past 15 years have been an adventure. I’m a mom of 3 kids, a wife, and I love everything about Oregon. I was born and raised in Mt. Angel to an agriculture family and my dad owns a construction company. You could say that hard work was instilled in me at a young age. Wine By Joe’s foundation is built on hard work and our winery if filled with hard workers. All to bring you really good Oregon wine. I started my 20-year career in the wine industry shortly after graduating from USC with a degree from the School of Cinema and Television. As a harvest cellar worker in Templeton, California, I became entranced with the intricacies of wine production and was startled to find it quite similar to film-making: a combination of artistic sensibility and technical execution. After making wine at several California wineries, I moved up north to join the Wine By Joe team. To me, our wines are consistently good and always approachable.